SIS and the Cultural Forum jointly organized an Inter-school Exhibition on “Eco-friendly and Sustainable Development at SIS. 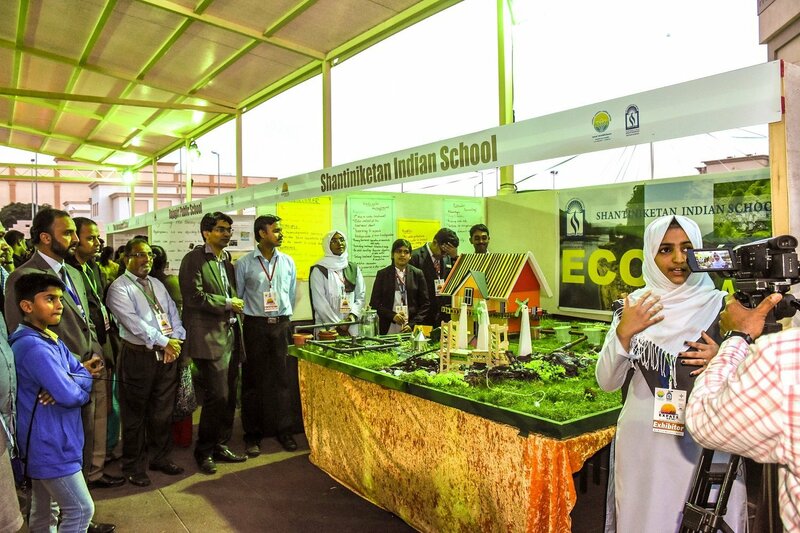 The exhibits from Shantiniketan Indian School, Rajagiri Public School and Olive International School included eco-friendly development models focusing on resource management, recycling, non-conventional energy, rain water harvesting, hydroponics and many such innovative ideas on sustainable development. In the community outreach program with an objective of massive awareness campaign on the role of expatriates in rebuilding the Indian state of Kerala after heavy floods, SIS won the First runners-up position in the inter-school exhibition. The event was a resounding success as it engraved the message of sustainable development in the hearts of the students, parents, alumni and community members.